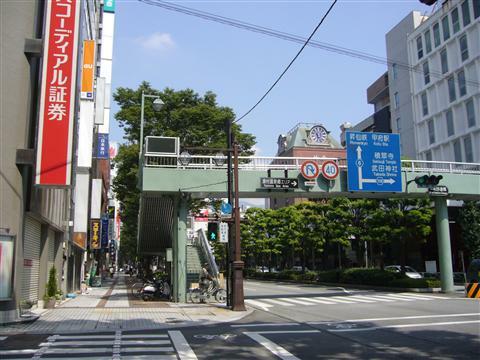 Shuichi went to Morioka City to look for Haruka and crossed this “Heiwa pedestrian bridge” as he searched for the salon she worked at. 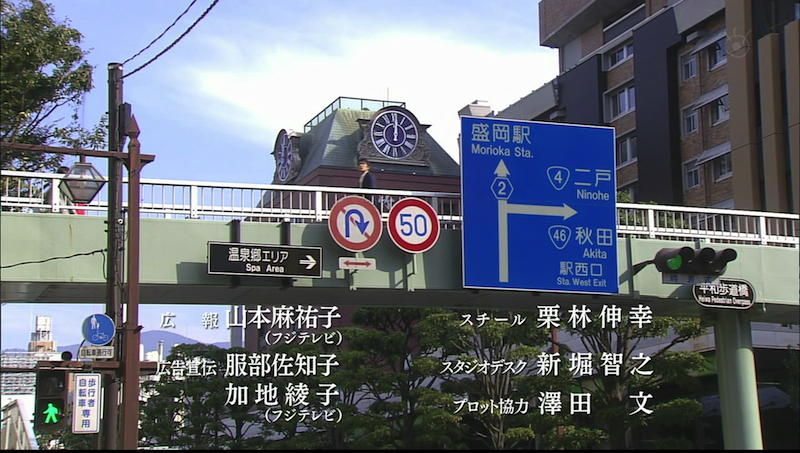 Although the big blue road sign says it’s close to “Morioka Station” (in Iwate prefecture), the bridge is actually located in Kofu City in Yamanashi prefecture. This is what the pedestrian bridge looks like in real life. I found this picture on the internet. 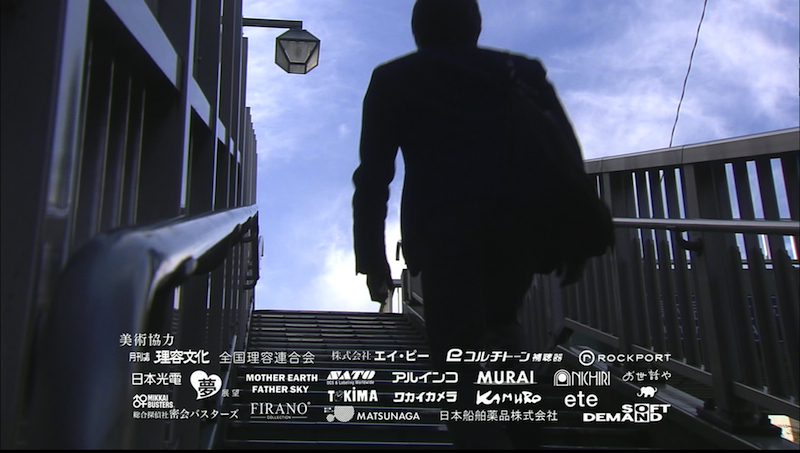 Also, according to this extras recruitment post written by the Yamanashi Film Commission company, they were looking to hire 10 people to act as regular pedestrians for this particular scene. 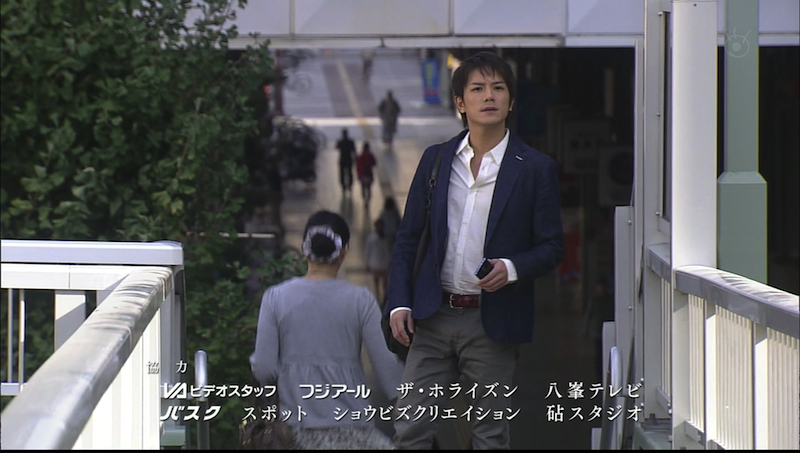 The filming was scheduled to be from 7:30~8:30 am on October 14, 2012. These 10 people were also allowed to take part in the next shoot that was set to take place at the Kofu National Hospital (which I’ve written about on this page).